What is a straight bill of lading? What are the differences between straight bills of lading and bills of lading? Bill of lading is a traditional transport document. It has been in use since the old days when vessels were really slow comparing to modern container carriers. Even in 19th centuary, especially shipments from South America to Europe or Africa to Europe took quite significant time. Long transportation periods create financial problems for both exporters and importers as finance has always been a key issue for international trade. International traders and banks managed to find a brilliant solution for this problem. They started to implement a payment method which is called letter of credit. Under a letter of credit payment method, an issuing bank notifies its conditional payment undertaking to the seller in a written format which means that issuing bank sends a letter to the exporter which contains the conditions and requirements of the payment. Seller could get its money only if he can present required documents in an acceptable way to the issuing bank. The seller, after receiving the letter of credit, should control the conditions of credit. If they are acceptable to him, he will make the shipment and sends the documents to the issuing bank. The issuing bank checks the documents as soon as they have been received from the exporter. If documents are complying, then issuing bank of the letter of credit pays the credit amount to the exporter. After having possessions of the shipment documents including the transport document, issuing bank apply to the importer for payment. At that very moment the bill of lading takes the stage. Remember the issuing bank had already paid the credit amount to the seller but has not received any payment from the buyer. The bank must be confident that even after arrival of the vessel to the port of destination, the buyer could not clear goods in absence of the original transport documents. Bill of lading, which is issued in traditional form, gives that assurance to the bank because the buyer could not get the goods from the carrier at the port of discharge if the buyer could not surrender at least one original bill of lading. The buyer must pay the credit amount plus issuing bank’s charges to obtain the documents from the issuing bank. Bill of lading must be issued made out "to order", or “to the order of a named party”, or “to the bearer” in order to be able to act as explained above. This concept can be defined under negotiability term. Negotiable documents should be issued made out "to order", or “to the order of a named party”, or “to the bearer”. Otherwise they may be accepted as a non-negotiable transport documents by law. What is straight bill of lading? 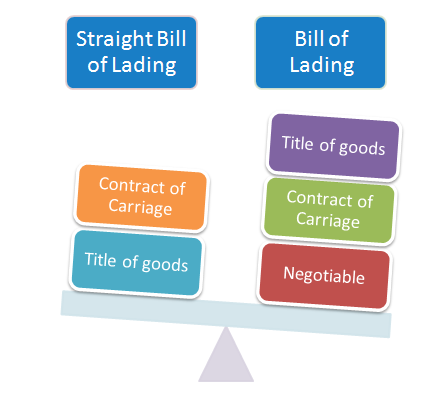 Straight bill of lading is a transport document which is issued under a standard bill of lading contract of carriage that restrain surrender of an original bill of lading to obtain the goods from the carrier but contrary to traditional bill of lading structure made out “to a named consignee”. They are issued under a negotiable bill of lading contract of carriage where the consignee must give original bill of lading to the carrier in order to obtain goods. They are not issued made out "to order" but made out “to a named consignee”. Straight bill of lading is not a traditional bill of lading or a non-negotiable sea waybill. This transport document stands just in the middle. The main problem with the straight bill of lading is that carriers cannot decide whether they must deliver the cargo to the buyer against an original bill of lading or by a simple proof of consignee identification. Only national laws can decide on this point. Unfortunately national decisions vary from country to country. US National Law: Under straight bills of lading carriers can deliver the cargo to the consignees without having original bill of lading. UK National Law: Under straight bills of lading carriers can only deliver the cargo to the consignees by having original bill of lading. 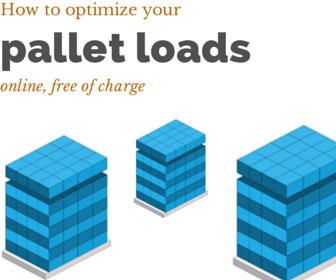 Straight bill of lading could easily cause problems when delivering the cargo to the buyer. Especially if you are working with a letter of credit and you do not want the goods to be delivered to your client in absence of the original bill of lading, you should make sure that bill of lading is issued made out "to order of (issuing bank)". If needed you have to revise letter of credit terms before you make the shipment.